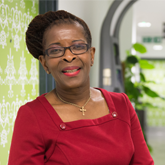 Going the extra mile is simply what we do, says RCN President Cecilia Anim in celebration of Nurses' Day. In the busy life of a nurse, midwife or health care assistant, we do not have time to pause and reflect on the difference we make. It’s for this reason that Nurses’ Day is so important. On 12 May celebrations take place around the world which recognise and value the work we do. So I urge you all to think about the way you support your patients. And I urge you to think about the way you support friends and colleagues in the nursing team, often in the very challenging circumstances. Think for just one minute, and you will find that you do so much, because for a nurse, midwife or health care assistant, going the extra mile is simply what we do. As your President in this, our centenary year, I would like to say thank you for all that you do - for the RCN and for nursing too. Nurses’ Day is a time for celebration, and no one deserves to celebrate more than you. Please let your colleagues know how valued they are by saying thank you or tweet your message to #thankanurse. Thank you again, and a very happy Nurses' Day. 20 Dec 2018 Thank you for your support during eight incredible years.